Network problems. No one ever wants to talk about them, much less even bother attempting to fix them. Ugh. Port forwarding? Double NAT? What is this nonsense??? Up until this point in our internet world, we have been rocking the almost-famous Linksys WRT wireless router. Built like a tank and designed for power-users, the WRT has been our vessel to the internets for nearly as long as we’ve lived in Atlanta. The signal on the Linksys is beastly and connections were always reliable, but week after week we continued to experience internet issues. So when Google announced their new wireless router I wasn’t all that energetic. What would we need a new router for? We already have one of the best on the market! 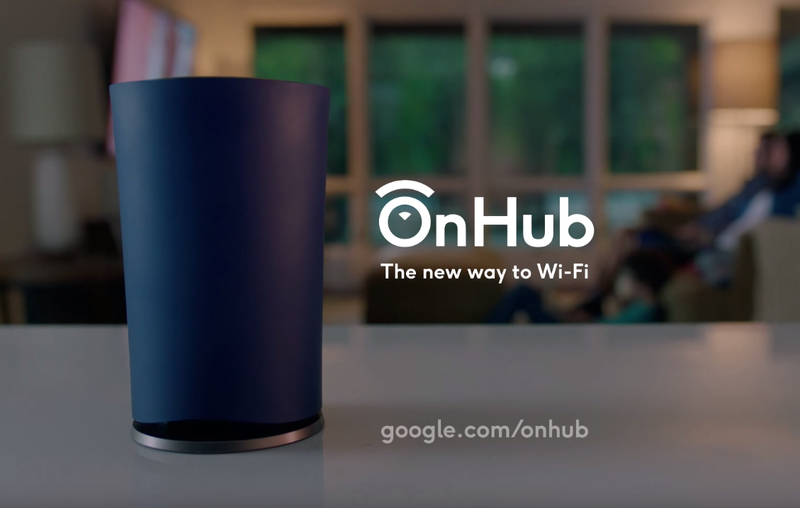 Still, the OnHub was designed with simplicity in mind, so I thought that it might make a great router to recommend to friends and family, but that would mean testing it first. So off we went to pick one up for our own home. We plugged it in and downloaded the OnHub app, which quickly walked us through the setup and then promptly informed us about the core of all our internet problems. This single alert triggered a series of events that ended with Comcast admitting that their cable modems sometimes function in a “router mode” and that we could have it switched to “true bridge” mode. Less than 24 hours later all our networking woes were defeated. In hindsight, I have learned that I could have figured it out on my own based on the Private IP addresses that were assigned to my hardware through the Linksys router, but that would have required me to do research and learn about networking beyond what’s required for normal computing purposes, which is exactly why the OnHub is so valuable. I didn’t have to do anything. It just knew what was wrong and alerted me about the issue. So the OnHub instantly became a friend of mine. It’s not a device for someone that has advanced requirements, but fortunately it doesn’t promote itself as such a device. Instead, it’s a device for the majority of people who dare to manage their own networks. It alerts you to outages (even if you’re at work thanks to the app) and easily allows you to set up port forwarding or static IPs if you have the need. 5ghz or 2.4ghz: The OnHub checks connects your device to whichever band provides the greatest speed. Network Congestion: One antennae is constantly measuring signals to determine the best channel for your network. Size: About a third the size of the WRT and with it’s simple design it looks fine sitting out in the living room. If you’re on the market for a solid router, give the OnHub a look. It’s an impressive entry in the market.